In these most accurate scale reviews, the most precise digital scales have been rounded up for your review. All of the scales listed below will yield readings similar to those you would get from the mechanical ones used at clinics and hospitals. Some of them will also deliver added information to go with your weight, like BMI and BMR figures that you can use to refine your understanding of your physical information. 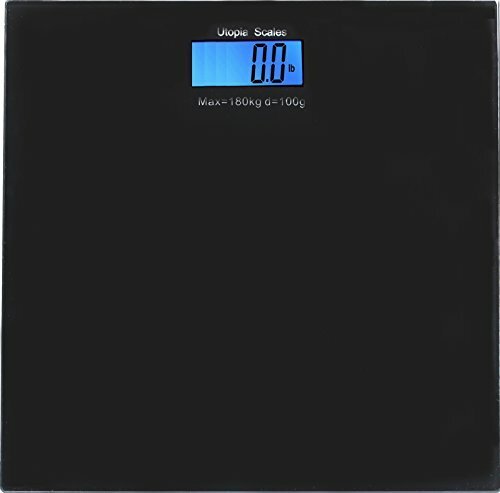 Most of these scales also come with automated function technologies. Just remember, however, that all of them must be used on solid and level ground. Digital scale gauges do not work properly if you set them on carpeted or rug covered flooring, so even the most accurate digital scale will return “bad” figures to you if you put it on such a surface. 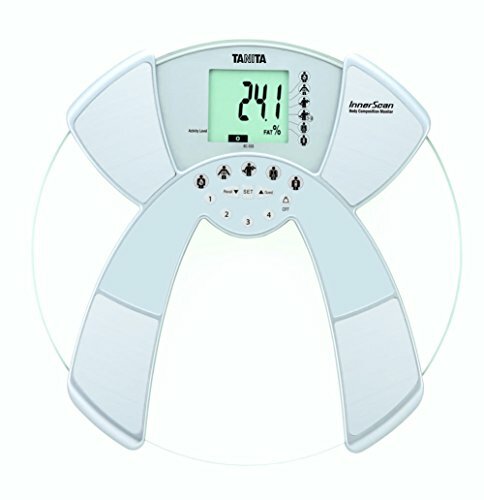 This BalanceFrom digital scale can take weights in increments of 0.2 lbs and has a maximum weight capacity of 400 lbs. It stores the last weight taken in its memory and shows it next to the latest one taken, simplifying weight logging and comparisons. It comes with a 3.6 in LCD display, auto-on/off technology, and a free tape measure. 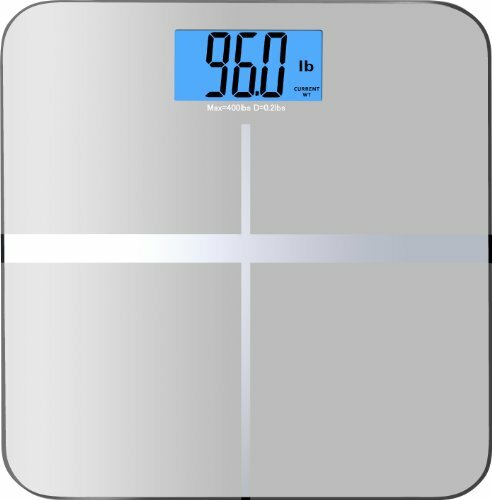 This is a great scale to have if you’re one of those people who like to track their weight changes religiously. Since it remembers the last reading you took, you know whether you gained or lost weight immediately when you use it. The downside to this is that anyone else sharing the place with you will know your last weight too (and let’s be honest, not everyone wants that). Still, that’s a minor gripe. Probably of more concern to some homeowners is that this scale is one of the wider ones. That means you won’t find it easy to fit in a very small bathroom. This scale can take measurements in increments of 0.2 lbs and uses automatic shutdown technology to conserve battery power. It has a low battery indicator, a backlit LCD, and the ability to take measurements in kilos as well as pounds. This is easily the cheapest scale in this list which already gives it a particular advantage over the rest where many are concerned. Fortunately, its low price isn’t betrayed by any part of the scale itself. This scale looks and works far better than you would expect considering what it costs. The complaint about the backlighting is really just in comparison to what you get from most of its competitors, but truth be told, it’s not that bad and the display is still very readable even with the current light it has on it. This digital scale has automatic user recognition and can store data for up to 8 users, allowing your entire household to monitor their measurements with it. It can measure your weight, body water, body fat, bone mass, and muscle mass using BIA technology. It also comes with a 2 year warranty. 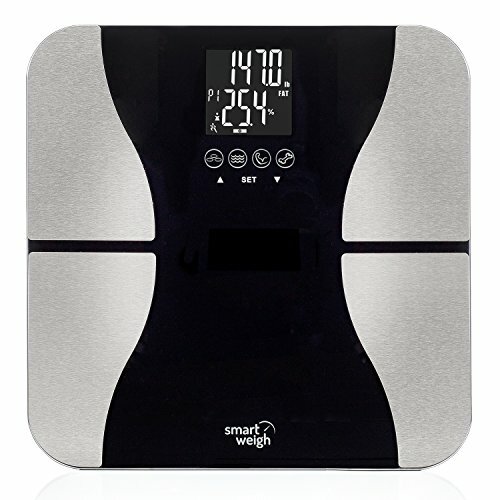 This is a great digital scale for the price. It’s not an eyesore in the bathroom, is remarkably consistent in its weight reports, and offers added value by supplying estimates of other metrics like BMI. It’s not dead-accurate for them, especially where bone mass and muscle mass are concerned, but let’s remember the price on the product. One wishes that it came with Bluetooth so you could log your data on a smartphone app, but again the price has to be recalled here. Overall, this is a fantastic buy considering its cost and the reliability of its actual weight reports. The BF680W from Tanita has a 2.25 in backlit LCD screen and the ability to report your body fat percentage, among other things. It has multiple modes to further refine its results and can store profile data for 2 people. This is more expensive than the previous scales, but it’s definitely a high quality product. The modes are great if you pay attention to how you use them but set it in the wrong mode and some of your health metrics will be distorted. It’s also reasonably nice looking and wouldn’t be out of place in most modern bathrooms. The BC533 is another Tanita scale able to take more than your weight. It can measure muscle mass, body fat percentage, and body water. It can even give you figures for your visceral fat. 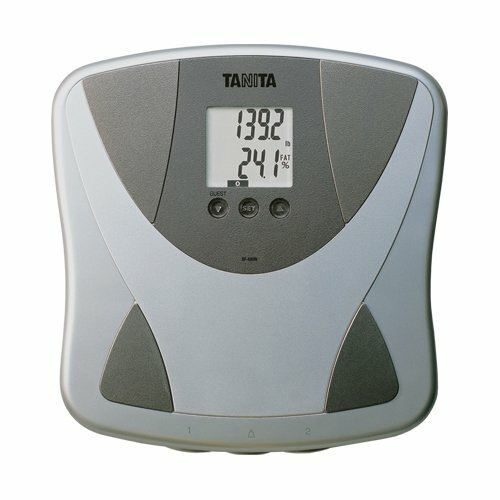 Like the other Tanita, it has a 2.25 in display, and the ability to take weights in increments of 0.2 lbs. It can store 4 user profiles. This is the priciest model here, but is it worth it? A fair number of health buffs would say yes, given how consistent it is in most of its measurements. Even its body fat reports are pretty good, as is true of the other Tanita in this lineup. It’s also rather striking if you’re into the modern aesthetic. It’s probably best left to the serious health enthusiasts, though, as all the measurements it takes wouldn’t be of much use to the average user who typically only concerns himself with his weight and little else besides. The best buy for most people would be the Utopia Scales model and why not, considering it costs so much less than the rest of them? The close runners-up are the BalanceFrom model and the Smart Weigh. Both offer great, consistent weigh-ins at less than half the price of the Tanitas which are really just for the serious body measurement crowd.